A leaked video purporting to show the Samsung Galaxy Fold in action has surfaced online and it paints a pretty bleak picture. There's a visible seam in the display and the UI is alarmingly sluggish. In other words, it's looking decidedly dodgy for a $2000+ flagship smartphone. However, it's worth noting that we have no way of knowing if the depicted product is the final production model. So don't freak out. At least, not yet. The video, which originally surfaced in Vietnam, depicts the phone in both modes and it doesn't look great. At all. As Gizmodo notes, there's a noticeable crease down the middle of the screen. While it's not glaringly obvious, it's not the "magically folding display" that was promised either. This must come as a bit of a blow to people who were eagerly anticipating this new form factor - Lifehacker's Anthony Cuarana has been practically gagging for it - but there's no need to write the device off yet. Whatever the case may be, we're confident that the version shown in this video will not be the version shipped out to consumers. In the wake of the stunning Huawei Mate X you can rest assured that Samsung will do whatever it takes to ensure it has an equally impressive product - even if that means pushing back the release date a few months. All will likely be revealed in the second half of 2019. 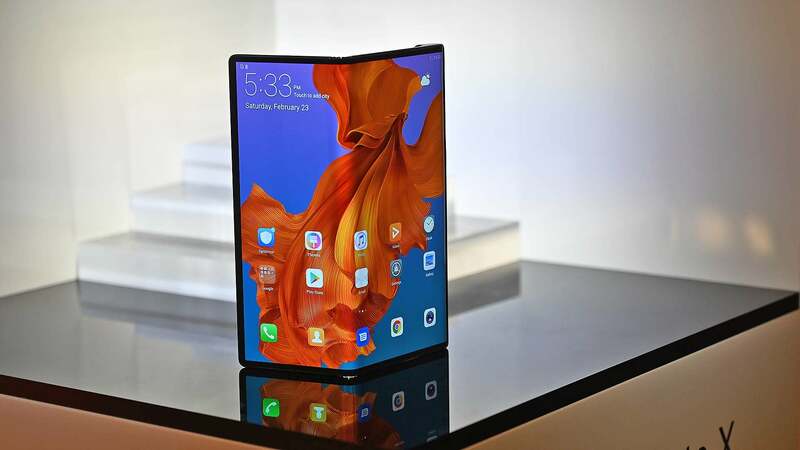 But don't consign the Galaxy Fold to the dustbin of history just yet. This device was already outed as a test device not a production one. That said, it still doesn't bode well for the finished product.